Join ITProGuru.com Tech Membership Program and keep up with the latest information and events that come to the area as well as special promotions and other member only benefits. If you don’t trust us with your information, don’t bother subscribing. 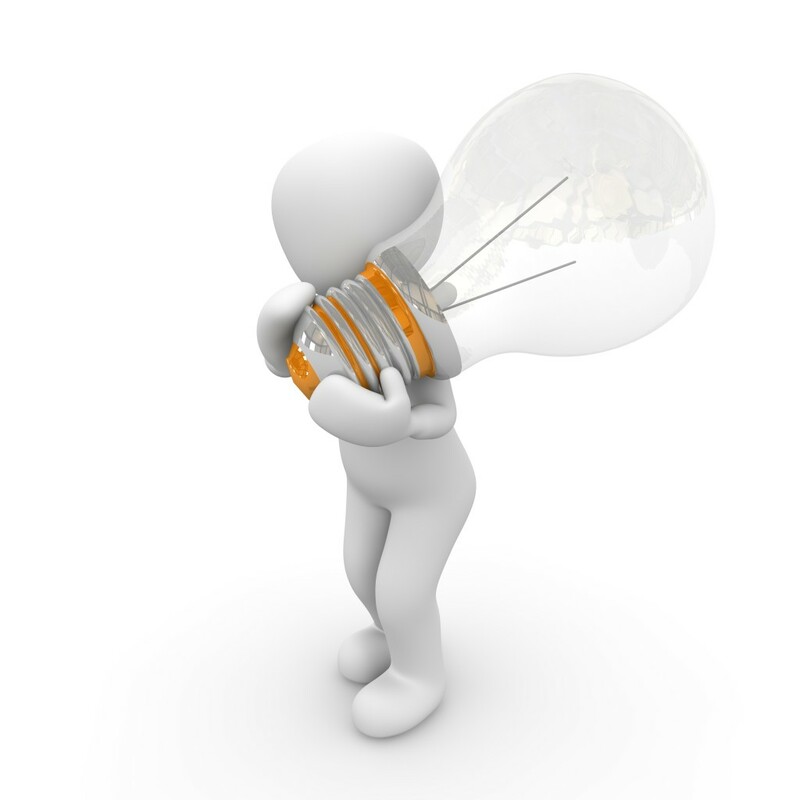 With every communication you will be given the opportunity to opt out of future emails. I respect your privacy, please read our online Privacy Statement. Why ask Dan to send you emails about events? 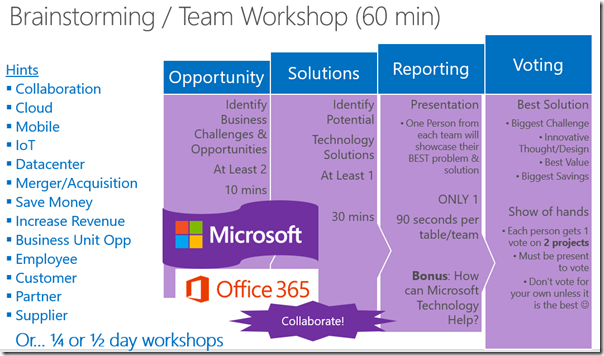 Microsoft does not have a TechNet Attendee list that they email to on a regular cadence. They put criteria into a database search and whoever comes up first based on the criteria they entered will get an invite. Those attendees have asked me to send them information about upcoming events. The only way I can do that is through an opt-in list. This is it! if you want on the list, please subscribe. Are there other ways to find out about these events without giving out my contact information? Yes. 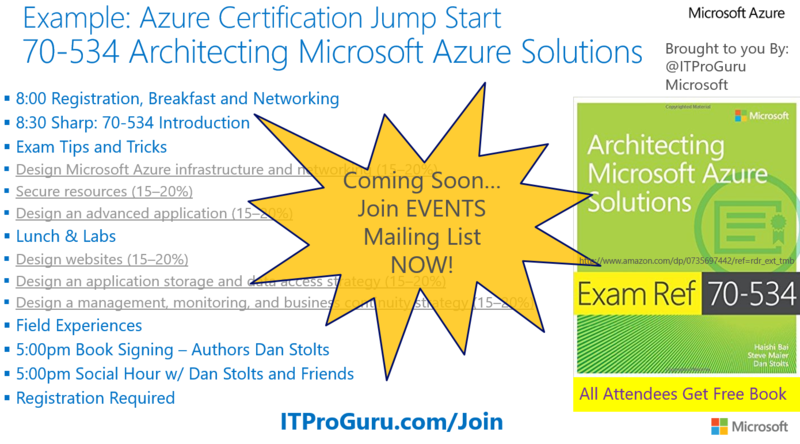 You could also subscribe (RSS) to Dan’s blog (http://ITProGuru.com) as he always posts messages about TechNet events. Most events are also posted on TechnetEvents.com, www.Microsoft.com/events and www.BostonUserGroups.org. Why phone numbers? I will only contact you via phone if you ask me too or if your email stops working, I may try to contact you before removing you from the list. Will I be spammed? How many messages should I expect? Messages will be sent to you about events in your local area or national events that may be of interest for you to travel. On average you will get one message a month. There may be times when there is much activity (usually around a major product launch like Windows server) where you might get more. If you would like to be removed, simply send a reply to any email with the word REMOVE in front of the subject. Microsoft respects your privacy. Please read our online Privacy Statement.